The GRT Yamaha Official WorldSSP Team are looking to return to winning ways in Assen at Round 4 of the 2018 FIM Supersport World Championship this weekend, just one week after Lucas Mahias took the outright lead in the standings at Motorland Aragon. 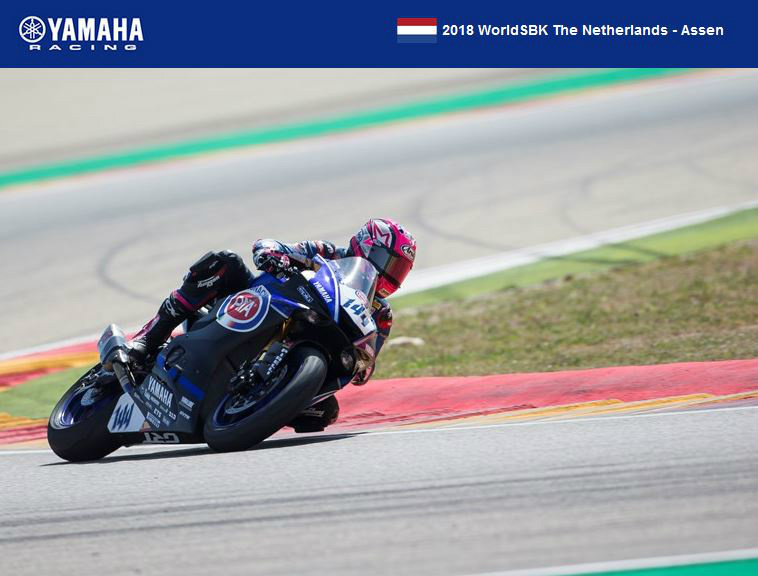 The reigning WorldSSP Champion crossed the line in fourth-place at the last round, missing out on the podium for the first time this season, and is looking to come out fighting at the TT Circuit Assen. His teammate Federico Caricasulo has had a great start to 2018, recording two podiums in the last two races. He currently sits fourth in the Championship standings, just nine points behind his teammate, and after fighting for the victory in Aragon before securing second, the young Italian is hoping to be battling at the front once more in Assen. European Supersport Cup rider Alfonso Coppola is looking to bounce back from an unlucky DNF in during the race in Aragon and build on the potential he displayed on his debut.